The International English Language Testing System (IELTS) plays a key role in international student access to universities around the world. Although IELTS includes a direct test of writing, it has been suggested that test preparation may hinder international students from acquiring academic literacy skills required for university study. 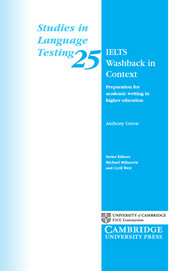 This study investigates the washback of the IELTS Writing test on English for Academic Purposes (EAP) provision. 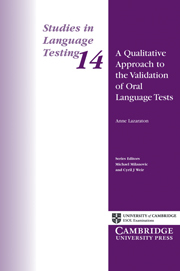 This book aims to provide language testers with a background in the conversation analytic framework.